Amber Alert: Elinor Trotta, WF, 3, 60 lbs, brn hair. 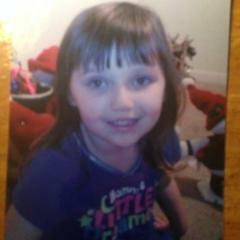 Last seen: 2/23 New Castle, DE at 6:48 p.m.
Elinor Trotta, white female, 3, 60 pounds, brown hair. Last seen wearing a purple coat, pink pants, and "Frozen" shoes. The New Castle County Police Department is investigating a domestic related incident that occurred in the community of School Side Apartments in New Castle. At approximately 6:48 p.m., County Police responded to the 800 Block of East Basin Rd. (School Side Apartments) for the report of a domestic related assault. The reporting person advised that her ex-boyfriend, 39-year-old Michael Trotta came to her residence, assaulted her, and took their 3-year-old daughter. Police are currently looking for Michael Trotta. He is a white male, 5’8” tall, approximately 160 pounds, balding/short haircut, scruffy beard and mustache last seen wearing all black clothing. 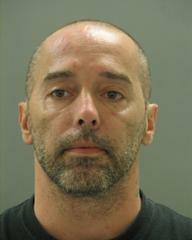 The suspect fled the scene in a 1989 gray Mazda 626 bearing Delaware registration 247457 with his 3-year-old daughter. Police believe the child is in imminent danger and that Trotta may have fled with her to the state of New Jersey, possibly heading to New York City. Anyone with information is asked to call 911 immediately, the New Castle County Police Department at (302) 573-2800 or visit www.nccpd.com.